The Avengers 4 trailer is not going through the Digital Media Remastering for IMAX screens. Obviously, the trailer has been a hot topic amongst Marvel Cinematic Devotees for months now. It’s only been a month since the release of the Captain Marvel trailer, but it looks like the trailer for the final Phase 3 MCU movie is on the way, though not earlier than once thought. The Infinity War trailer was unveiled at the end of November 2017, so many believe that’s when the Avengers 4 trailer will drop as well. According to Twitter user I Am Film Editor, the Avengers 4 trailer is currently being formatted for IMAX. While this news seems a bit far-fetched, I Am Film Editor also revealed the same news about the Solo: A Star Wars Story trailer earlier this year, two weeks before the trailer dropped. Now, this doesn’t confirm that the New Avengers trailer will be here in two weeks, but it’s a reliable source stating that it’s on the way, possibly sooner than expected. With that being said, IMAX has officially denied that Avengers 4 is going through the DMR process. This news only goes on to prove that the Avengers 4 trailer description that was released over the weekend is further fake news. The original trailer description seems too good to be true anyway, so it’s not that big of a deal when all is said and done. However, while the film is not going through the DMR process now, it will more than likely be happening soon. Avengers 4 star Elizabeth Olsen recently appeared at the ACE Comic Con in Chicago and talked about the highly anticipated sequel briefly. While she couldn’t talk specifics, she did say that the story is “only going to get worse.” Now, that’s a pretty bold declaration after the events of Infinity War, so what could Olsen be referring to here in this quote? 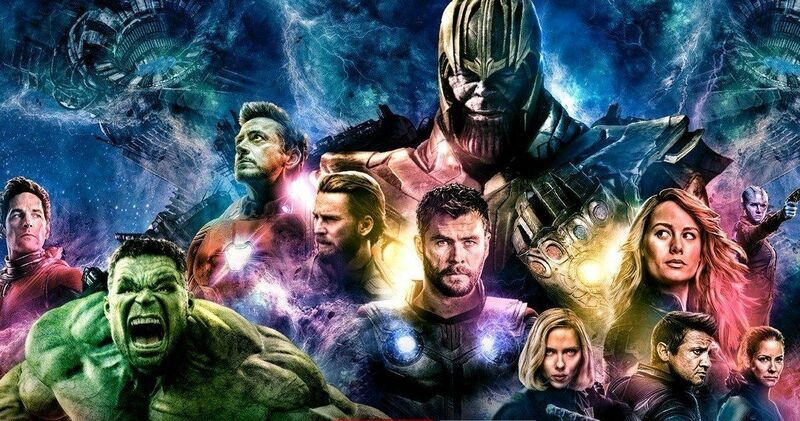 It’s hard to tell, but it’s looking like Avengers 4 is going to be pretty dark when all is said and done, which could be due to the deaths of some of the original Avengers, or for completely unrelated reasons. Avengers 4 doesn’t hit theaters until next year, so there’s still quite a while to make guesses as to what will happen, but it’s looking like the trailer will arrive before the end of the year, giving fans a tease of what to expect next May. With the trailer drop comes the official title for Avengers 4, which for some, is just as exciting as seeing the actual footage from the film. The World Series could still be a major contender for the trailer drop, but that’s looking less and less likely. For now, we’ll just have to sit back and wait for the trailer announcement. You can check out the initial reveal below, thanks to I Am Film Editor’s Twitter account. IMAX has not made a public statement at this time, but they did reach out to Screen Rant, claiming the initial reveal was not true.